Alison Turnbull (left) and Linda Spence. The Elie and Earlsferry pairing of Alison Turnbull and Linda Spence won the LGU Coronation Foursomes area final at Turnhouse Golf Club today, heading a big field after a very tight finish. 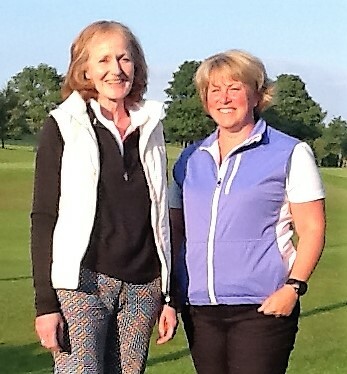 Mags Cargill and Sue Martin of the Dunbar club matched the winners' Stableford points total of 42 but lost out on a comparison of the inward halves.